Cart abandonment is one of the biggest problems that plagues online retailers of all sizes, even ranking ahead of customer retention strategies. If you are an online business owner, you are all-too-familiar with these ecommerce issues. Thankfully, there are things you can do to combat cart abandonment problems as an online shop owner. 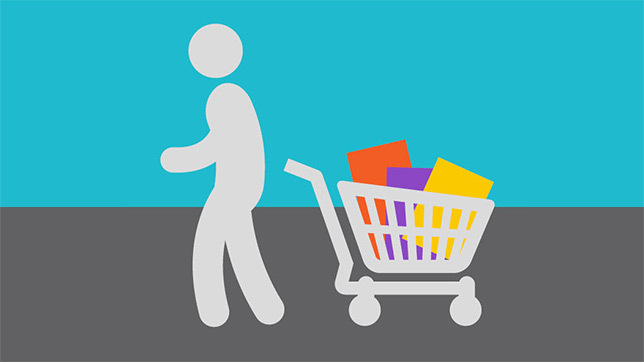 If you are looking to lower your cart abandonment rates, use these tips and tricks. Throughout the entire checkout process for your online store, keep product images present and prominent. This pictures are important. They help remind shoppers what they are buying and why they are buying it. These product pictures help shoppers stay focused on your products and the checkout process to make them theirs. These grounding techniques reinforce shoppers’ desire to buy your products. This improves the likelihood that they will complete the checkout process without navigating away from your page. Obviously, that is exactly what your online store needs to improve cart abandonment rates. Be sure your eretail store makes use of security badges on all pages of your website. When consumers see your SSL certificate badge and Norton Verisign badge or similar, they will be put at ease. These badges offer your business credibility and legitimacy. They make customers have more faith in your ability to deliver on your promises and provide high quality products. Simply put, these SSL certificates badges help your ebusiness earn consumer trust. If low customer trust is the problem behind cart abandonments in your online boutique, these badges will offer the perfect solution. Lagging website speeds could be another reason for cart abandonment issues. Speeding up your website will encourage customers to complete the checkout process. Think of this in personal terms. What do you do when a website lags? If you are like most, you will probably navigate off the website out of frustration. Online shoppers are no different. Make sure your ecommerce platform is always running at tip top speeds to lower cart abandonments for your online store and improve sales metrics overall. Do not surprise shoppers when it comes to product pricing. If your online boutique charges for shipping, indicate this somewhere on the product page. The same is also true of taxes. Customers will get discouraged if they get sticker shock when they click the “Checkout Now” button. Even if prices are still low, they will be much less likely to purchase the product. The same can also be said of out of stock products. Do not wait until the last second to let shoppers know that a product is sold out in certain sizes. Always remember, surprises are best left out of the online shopping experience, (unless of course, the surprise is a nice big discount). Do not make shoppers register to checkout. This will severely impact your cart abandonment numbers. Many online shoppers are reluctant to give out their email address. This is with good reason. Internet users receive an unheard amount of promotional emails every day. They know that once they give you their email, you will start sending all sorts of marketing materials and correspondence. Honestly, consumers are tired of the constant advertising and marketing outreach. Instead, provide a guest checkout option that only asks for an email address to provide shipping updates. This will help to boost conversion and lessen cart abandonment issues right away. If you own an online store or an augmented reality store, conversion is your biggest concern. Cart abandonment problems get in the way of your ecommerce success. Thankfully, these cart abandonment improvement tips and tricks will help you make the changes your online boutique requires to improve conversion rates. Use these tricks to improve cart abandonment issues right away. You will not regret it.